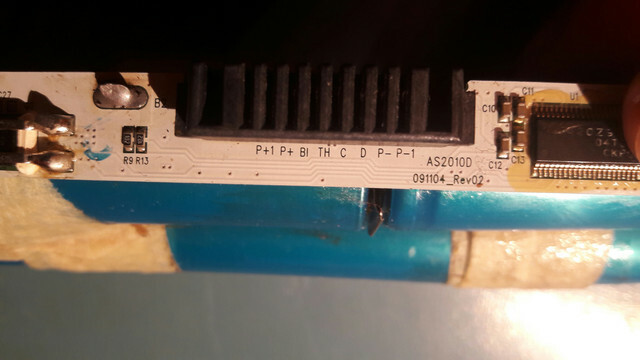 Hi, I've just bought a CP2112 adapter, and I'm trying to connect to a battery, with no success. I tryed with a BQ20Z955 and a R2J240, failed with both. Software is 4.30 DEMO. The soft recognises my adapter, successfully, but at the moment I push the read button, the adapter flashes red, and Windows gave that sound when you connect a USB device, and it keeps repeating, like if I was unpluging and repluging the adapter. In the device manager I can see that it's unconnecting and reconnecting my CP2112. If I stop reading, everything goes back to normal and the adapter stays connected continuously. I tested on 3 different PC, with the same result. Is this normal behavior or my CP2112 is faulty? Simply you can't find right connection or your batteries are not running. Hi! Thanks, that's a relief! Then what could I have been doing wrong? I know I need 3 wires from adapter: SCL, SDA, GND. If I press "Read battery data" I only get the previous disconnect/reconnect cycle. I found there's another, "Read chip" button on the right side of the window. I could use any advice. Thanks in advance! Similar problem! Battery AS10D73, CP2112 converter and no communication. What is wrong?